These Baked Salmon Patties are packed with flavorful vegetables and baked instead of fried. 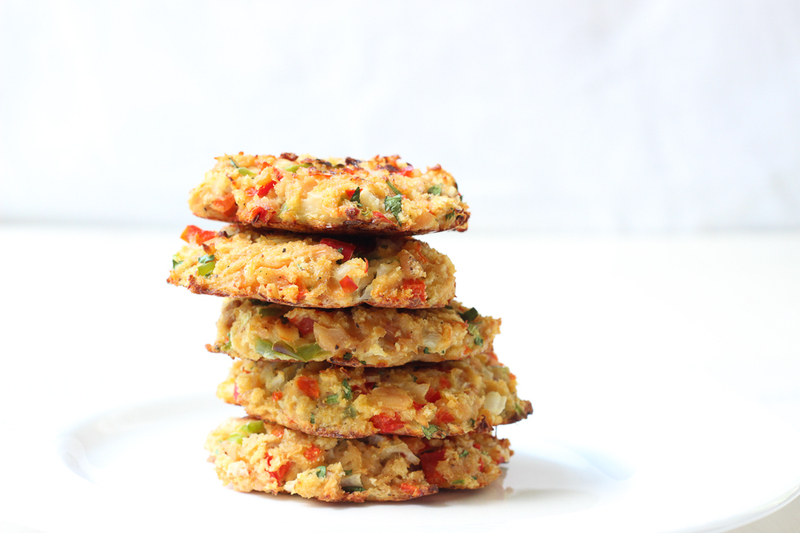 These salmon cakes are a healthy source of protein and omega-3 fatty acids. Preheat oven to 400°F. Mist a baking sheet with olive oil. In a medium bowl, flake the salmon. Add the chopped vegetables and all remaining ingredients. Mix well. Divide the mixture into 8 equal parts. Shape each into an individual patty. Place on the prepared baking sheet. Bake at 400°F for 20 minutes, turning once. Serve with a side of rice, corn or quinoa and/or a green vegetable for a complete dinner or take a lesson from a southern girl and enjoy them for breakfast!